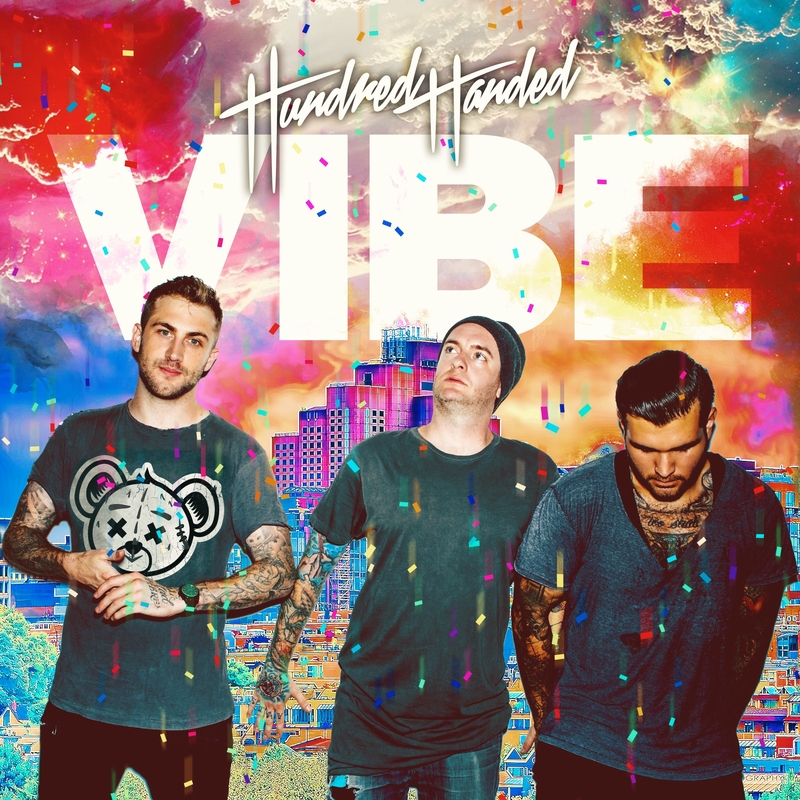 Almost seven months after the single’s Australian release, LA outfit Hundred Handed give us the video for ‘Vibe’. And it would appear that the band may have parted ways with Universal Music Australia, who they signed with in late 2015 as the single has been re-released on iTunes independently to coincide with the video drop. Jordan, Drew and Matt have taken a little leaf out of OK Go’s books here; filming their clip in just one take, along with (as the clip suggests) 88 lights, eight walls, 30 pounds of confetti, eight cannons, one camera, eight camera operators and a partridge in a pear tree all in one continuous shot. (* partridge in a pear tree not a guarantee). They mention that it also took them 16 takes to perfect it. The ‘Vibe’ clip is obviously nowhere near as intricate as the clips dreamed up by OK Go, but ten points to Hundred Handed in terms of creativity as they embark on the next phase of their career.